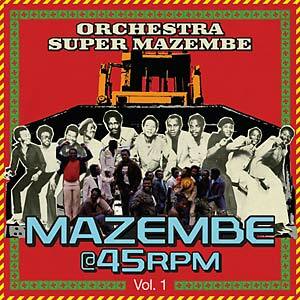 In the era of vinyl records, the format of most African pop music was not the album but the single. As Doug Paterson, the compiler of this album, explains: "In Kenya in 1980, the average music fan might not have found it too difficult to come up with 10 shillings for a single, but it would have been much harder to find the 55 shillings necessary for an album." This album, then, is a celebration of singles. It is a selection of tracks from the late 1970s, most of which have never appeared in albums and none on CD before now. 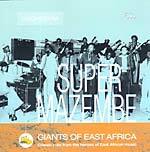 It tells the story of one of the most successful East African bands of the time, Orchestra Super Mazembe, a sprawling, prolific, dynamic unit that recorded hit after hit and is still remembered today with pleasure and affection. In 1975, some five years after leaving its origins in Zaire, Super Mazembe (whose name means "giant earth-movers") finally arrived in Nairobi, Kenya. 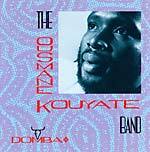 Its early years in Nairobi were lean, but in 1977 the band scored a huge hit with the single "Kassongo," and from that point on its fortunes lay in East Africa. 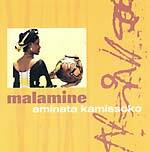 It was an incredibly productive group: by 1984 it had released 42 singles under the Editions Mazembe imprint alone, and it toured relentlessly. Honed to perfection on the road, in the studio the songs were recorded in one session each. The structure of every song had to fit the limits of a 45 rpm single. At around the five-minute mark, there was a repeat or chorus or instrumental; this would be the fade-out of side A and the fade-in for side B, which then usually featured a fabulous guitar breakdown before building up again for the end. Our tracks have been painstakingly mastered and reunified as originally recorded.